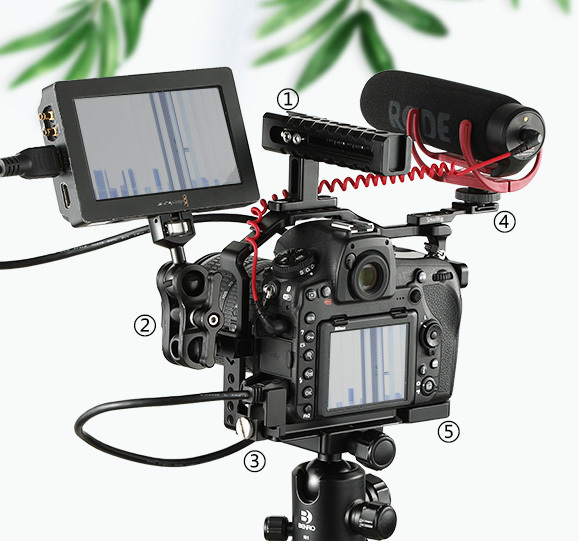 Note: SmallRig Monitor Mount 2174, 2114, 2115, 2116 are NOT recommend to be used on the top of the cage. There is a risk that the screw will interfere with the camera. Arri locating points for articulating arm with Arri locating pins. 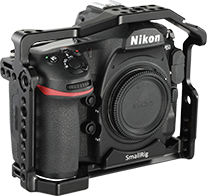 This cage provides form-fitting protection to the Nikon D850, and provides multiple mounting interfaces. 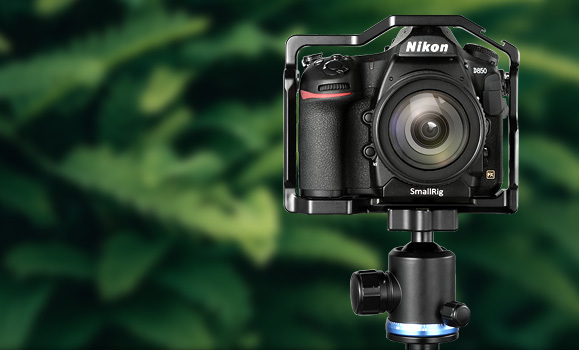 It mounts to the camera's tripod socket with a 1/4’’-20 screw and prevents twisting around the camera. On the top SmallRig handles such as 1984 can be mounted. The built-in cold shoe on the left receives microphones, while on the right external cold shoe 2044 or 1241 can be attached. 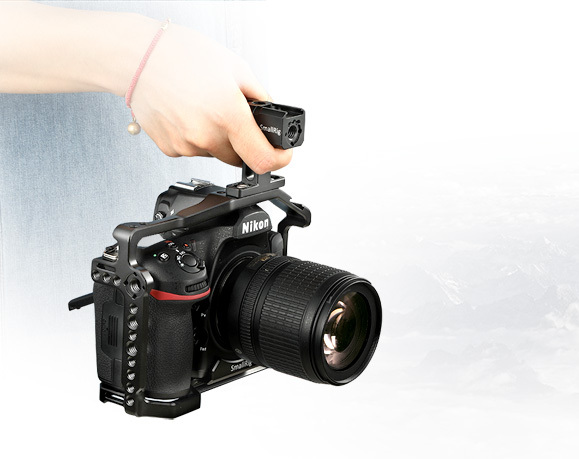 NATO rails on both sides are compatible with SmallRig NATO accessories like Ballhead arm 2071 for monitors. On the left side 1822 is perfect to protect the HDMI cable from loss of signals; on the right side hand straps and neck straps are usable. The cage features a built-in Arca Swiss QR plate on the bottom, which fits the universal 15mm rail support 2092 for the standard 15mm LWS system.